100% Polyester. Hand wash. Our window treatment can be custom made and sized to your preference. Please check our fabrics link for more available colors and styles. We can produce this material to any other linen product you would like to match to this fabric including table runners, table toppers, decorative pillows, and doilies. 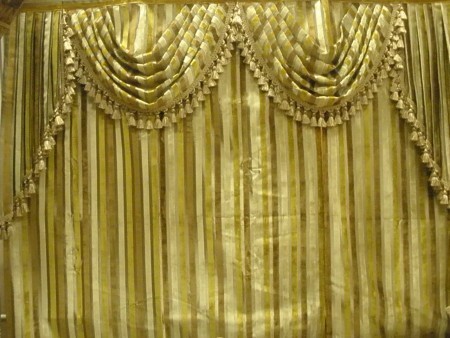 Please check our fabrics link for more available colors and styles.